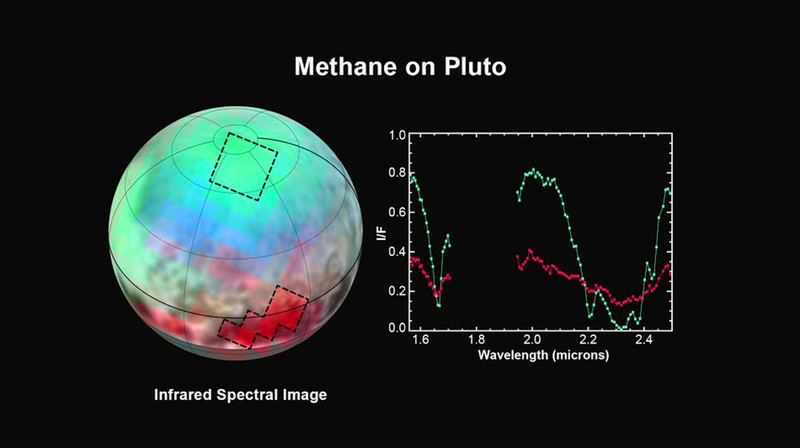 KSTV Weekly Science Wrap Up! It’s a good thing I’m not a trusted astronaut aboard the International Space Station, because instead of conducting important experiments and exploring our universe I’d probably be the first person to get drunk in space. Japanese distillery Suntory announced it’s shipping booze to Kibo, Japan’s module on the ISS – you know… for science. Suntory’s award-winning whiskey will be off limits to astronauts, the group is just curious how zero gravity might effect the aging process. H-II Transfer Vehicle No. 5, commonly known as “Kounotori5” or HTV5, launched from JAXA’s Tanegashima Space Center on August 19 carrying alcohol produced by Suntory to the ISS, where experiments on the “development of mellowness” will be conducted. Suntory hopes to find a scientific explanation for what ‘mellows’ alcohol over time. A company spokesman said that the samples will include both a 21-year-old single malt whiskey (YUM) and a beverage that has just been distilled. 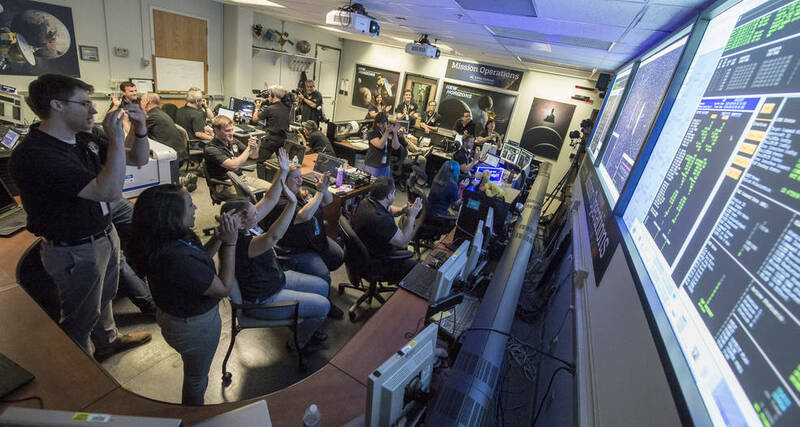 The first samples will return to Earth after one year, while the other group of samples will remain in space for at least two years. Do you want to get your hands on space-aged whiskey? Me too… but, Suntory says they have no plans to make the unique specimens available for public purchase. Crew Members on ISS Make History by Eating Salad: From Lettuce Grown and Prepared in Space! SCIENCE VIDEO WRAP UP: Colossal Squid Sighting, Cosmic Photobomb, and Peacock Spiders Dance! 1) Colossal Squid Caught on Camera! It’s not often you get to see the fully illuminated “dark side” of the moon – but, thanks to a NASA camera aboard the Deep Space Climate Observatory (DSCOVR) satellite, we received a unique view of the moon as it moved in front of the sunlit side of Earth last month. SO cool! 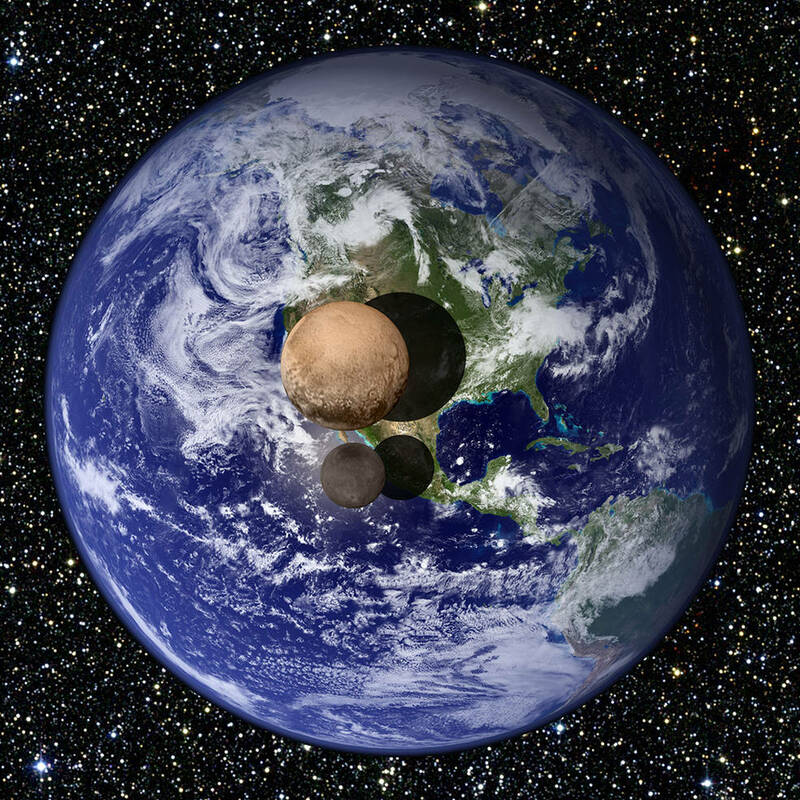 The animation below features actual satellite images of the far side of the moon, illuminated by the sun, as it crosses between the DSCOVR spacecraft’s Earth Polychromatic Imaging Camera (EPIC) and telescope, and the Earth – one million miles away. These images were taken between 3:50 p.m. and 8:45 p.m. EDT on July 16, showing the moon moving over the Pacific Ocean near North America. The North Pole is in the upper left corner of the image, reflecting the orbital tilt of Earth from the vantage point of the spacecraft. NASA’s Marshall Space Flight Center in Huntsville, Alabama, just received a very sophisticated tape dispenser. The latest addition to Marshall’s Composites Technology Center is one of the largest composites manufacturing robots created in America. 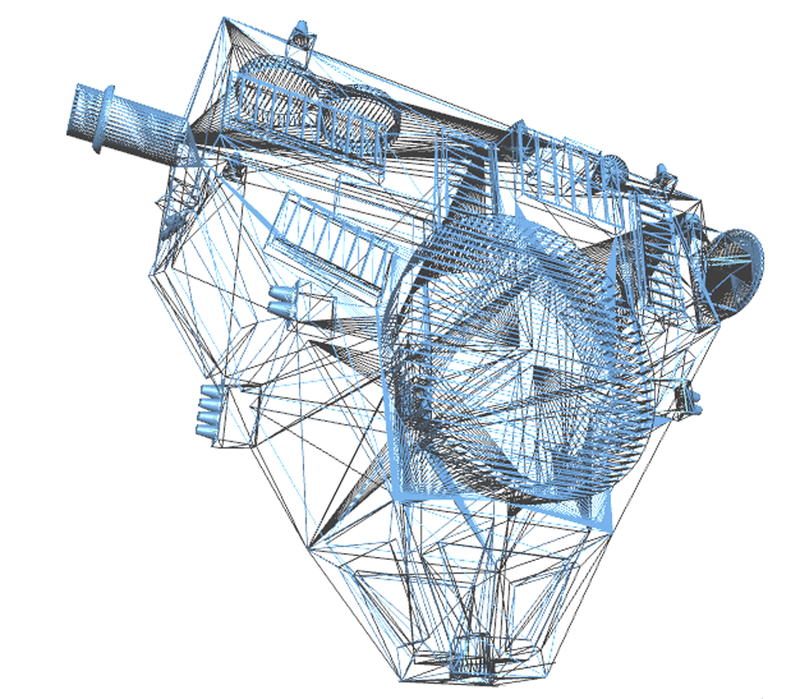 It will help NASA build the biggest, lightweight composite parts ever made for space vehicles. According to NASA, composites are the materials of the future for aerospace because they are lighter and cheaper than traditional materials, like metals. Lightweight composites have the potential to increase the amount of payload that can be carried by a rocket – the lighter the rocket, the more crew, food, equipment, and science instruments the rocket can ferry into space. NASA is doing research to determine whether composites can be part of their new Space Launch System and other exploration spacecraft, such as rovers and landers. In order to make large composite structures, the robot travels down a 40-foot-long track, placing carbon fibers onto a tooling surface in precise patterns. The head at the end of its 21-foot robot arm holds up to 16 spools of carbon fibers that are as thin as human hairs! The robot will build structures larger than 26 feet (8 meters) in diameter, which are some of the largest composite structures ever built for space. I’m an Adult and I Can’t Wait for the New Star Wars Little Golden Books for Kids! The new Star Wars Little Golden Books almost make me want to have a baby – almost. 😏 Disney just announced this week that all of the legendary Star Wars movies are about to join the iconic Little Golden Books series for kids. The first six books in this series will be released on July 28: The Phantom Menace, Attack of the Clones, Revenge of the Sith, A New Hope, The Empire Strikes Back and Return of the Jedi. A boxed set of these first six Star Wars Little Golden Books will be available on September 1, 2015. Check out the six covers below! Kepler-452b is 60 percent bigger in diameter than Earth and scientists feel there is a good chance its rocky, although its mass and composition are currently unknown. 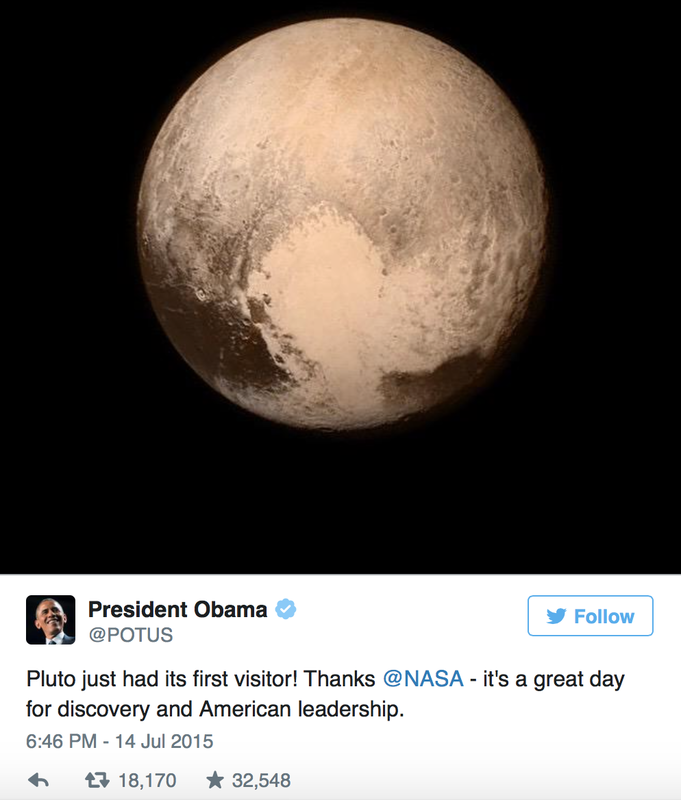 The confirmation of Kepler-452b brings the total number of confirmed planets to 1,030. 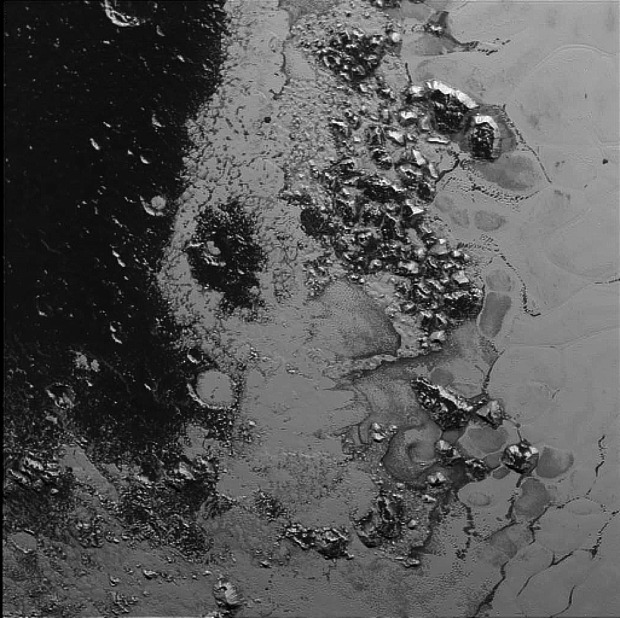 A newly discovered mountain range lies near the southwestern margin of Pluto’s Tombaugh Regio (Tombaugh Region), situated between flat, icy plains and dark, heavily-cratered terrain. 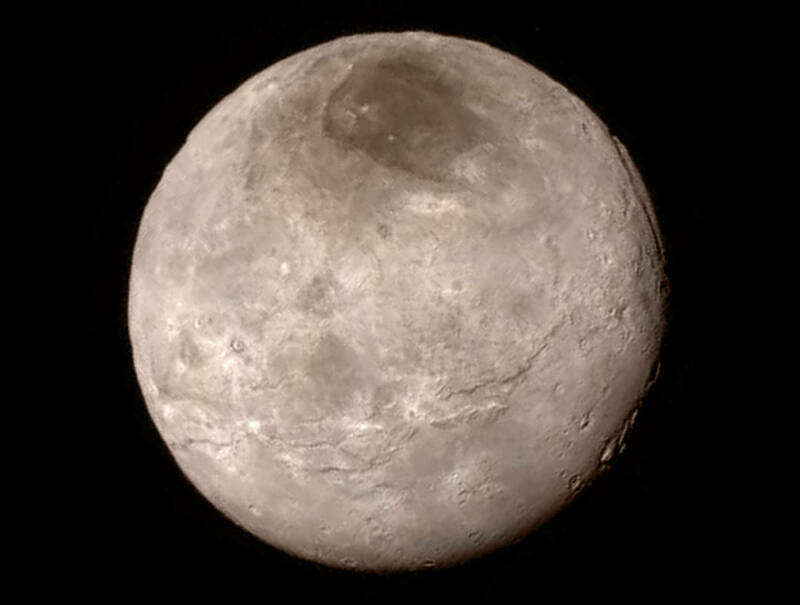 The image below was taken by New Horizons on July 14, 2015 from a distance of 48,000 miles and sent back to Earth on July 20. 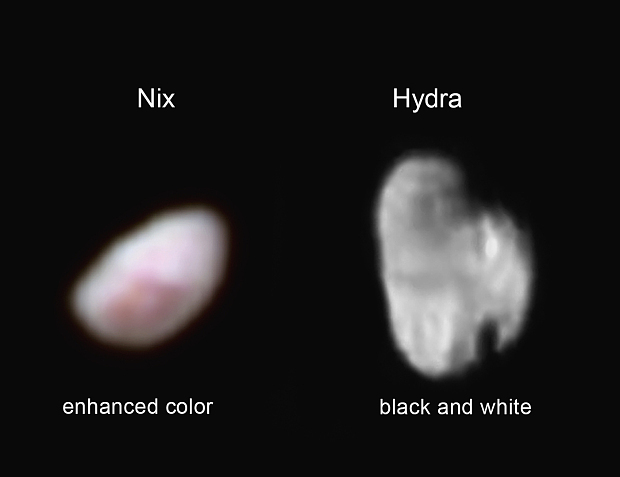 Pluto’s largest moon Charon has snagged most of the press lately, but there are two smaller moons – Nix and Hydra – that were the second and third moons to be discovered. 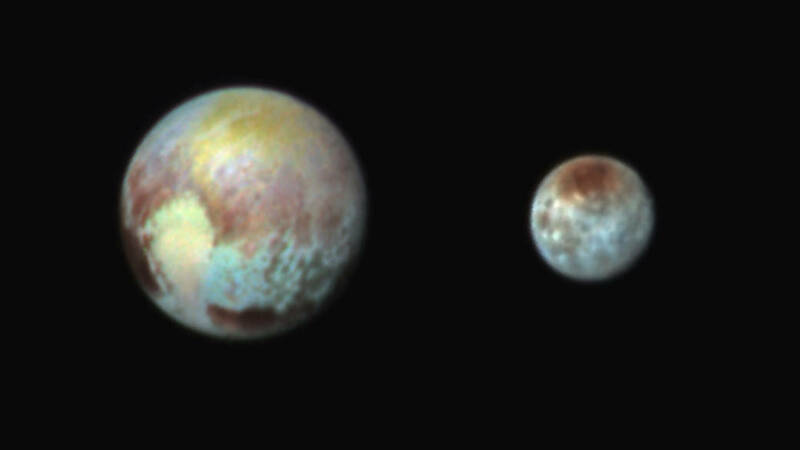 Pluto’s jelly bean shaped moon Nix (left), has a reddish spot that has attracted the interest of mission scientists. 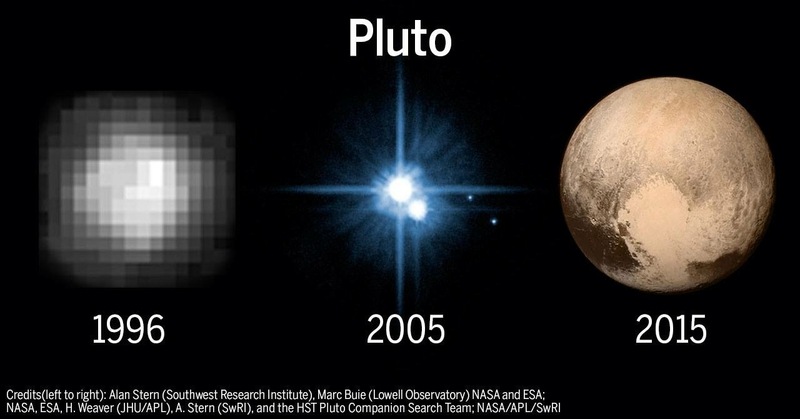 Nix is estimated to be 26 miles long and 22 miles wide. 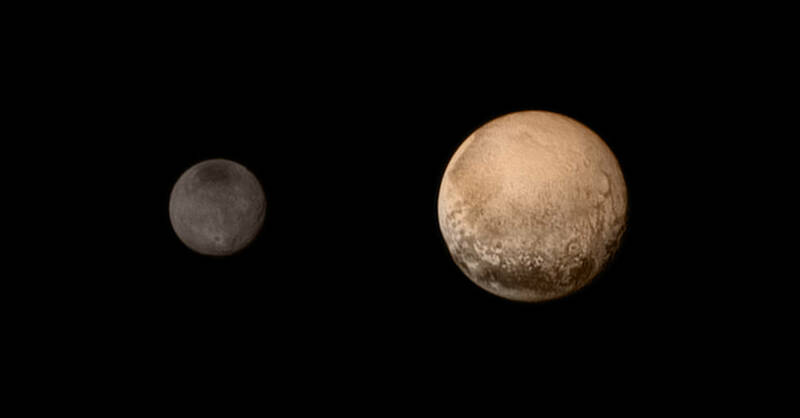 Pluto’s awkwardly shaped moon Hydra (right) is 34 miles in length. 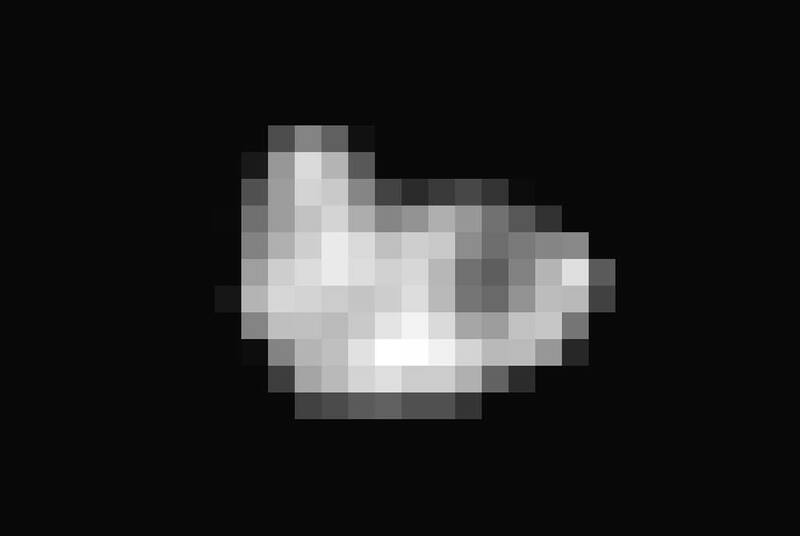 The black and white image taken by New Horizons on July 14 reveals features as small as 0.7 miles. Three crew members representing the United States, Russia and Japan have arrived at the International Space Station to continue important research! NASA astronaut Kjell Lindgren, Russian Federal Space Agency (Roscosmos) cosmonaut Oleg Kononenko and Japan Aerospace Exploration Agency (JAXA) astronaut Kimiya Yui launched from the Baikonur Cosmodrome in Kazakhstan at 5:02 p.m. EDT Wednesday (3:02 a.m., Thursday, July 23 in Baikonur) and docked at the station at 10:45 p.m. They will be aboard the ISS for five months and are expected to return to Earth at the end of December. The three men join Expedition 44 commander Gennady Padalka of Roscosmos and flight engineers Scott Kelly of NASA and Mikhail Kornienko of Roscosmos, who have been aboard the complex since March 27. Click the video below to see the successful launch of the Russian Soyuz TMA-17M spacecraft on July 23, from the Baikonur Cosmodrome in Kazakhstan. 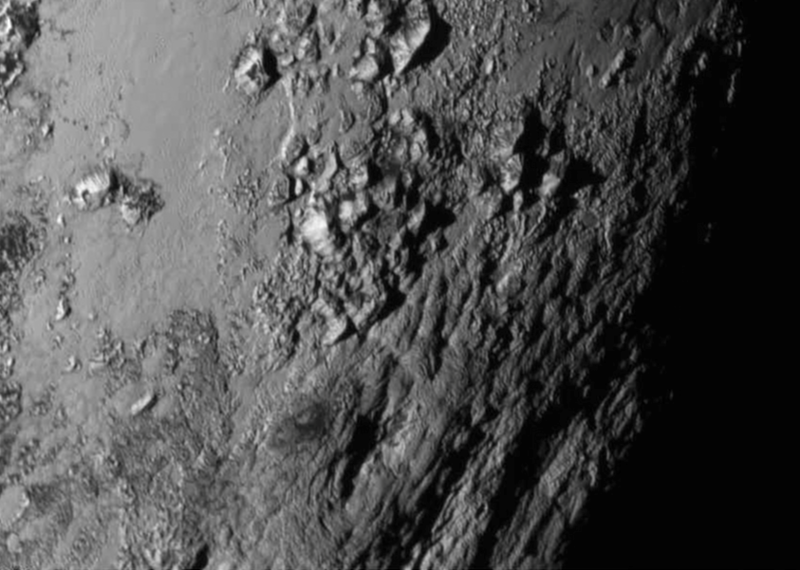 PLUTO VIDEO UPDATE: Pluto’s Big Flat Icy Heart and Shocking Mountain Ranges!